For those of you that have been playing video games for several decades, you probably remember the glory days of id Software. Beginning its work on the PC, the studio is arguably responsible for the modern shooter genre, with games such as Quake, Wolfenstein, and Doom all being products to emerge from the studio. While shooters may be the studio's bread and butter, it actually started out making platformers – such as Commander Keen and Dangerous Dave - inspired by those found on Nintendo consoles. What do you think? Was Nintendo wise to turn this down? Where do you think id Software would be today if Nintendo accepted? Share your thoughts in the comments below. Would be a cool port if it was finished. Almost like that fake Game Boy Color port that someone created a few years back. I'm pretty blown away by this discovery. I used to play Comander Keen at my Grandparents house as an alternative to Super Mario 3 (they didn't own a Nintendo). Well, I suppose its a good thing they didnt went on with this. Still, its impressive they managed to do this working prototype. That's pretty well done compared to a lot of clones. I wondered how things would have been if Nintendo went down the PC route instead. 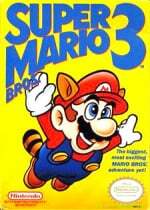 I honestly believe that Nintendo- did the right thing by restraining Super Mario Bros. 3 to consoles. After all, this game was a console-seller and therefore would have directed customers away from the NES if this was released through the computers that a lot of people probably already have had. It's pretty cool when you consider how secretive Nintendo can be with development details, especially back in those days. I imagine these guys must have had very little to go on! Honestly, that seems like an awful port. It just makes me wonder if that would've created a working partnership. Can you imagine how different things would be today if Doom or Wolfenstein debuted on a Nintendo console? "John Romero of id Software"
@MitchVogel I can imagine Wolfenstein being in it's all censored glory and doom being butchered like in BFG edition. It was a sad day when Zenimax/Bethesda got their hold on them. I miss Commander Keen and Duke Nukem 2... And of course wolfenstein and Doom. Grew up on these games. Funny how today I'm all Nintendo. It reminds me of why I loved my NES even though we also had a PC. As much as I can appreciate the work they did to get it that far, how insanely awful is that? I mean it just makes me want to gag! Not to mention that most PC joysticks had one button on a base and then maybe one on top of a stick. Pretty bad for Mario... Or you could use keyboard! 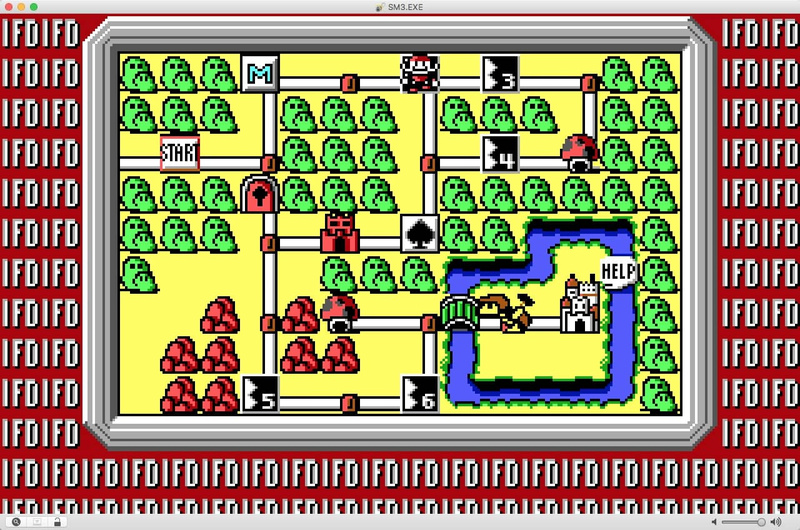 I'm not knocking PCs, some of my favorite game experiences ever were played on PCs and Apple ][ computers, but at the time Super Mario Bros. was big there was no comparison for that type of game. PCs were astronomically better at other game types, however. Yet, even then, I could appreciate the different slant that each was taking towards RPGs. Phantasy Star was still amazing and so different even though deeper classics on the PC were available. To be fair, it's a prototype, and with a bit more time in the oven it could have been a closer match to the original. It's really not bad for an alpha! So the raccoon suit was basically P wings. No slopes? 0/10! It's like Super Mario Maker all over again! @MitchVogel Both Doom and Wolfenstein were on SNES, but I still think they would have been censored. @yuwarite Fascinating, I never knew that! All the same, it would be interesting to see how else this could've played out. Most likely this game would have sucked on PC even if it had been given full attention. Most being that platform games tend to not play well when using a standard keyboard or atari-style joystick, especially for precision jumping. I am also wondering if this game would not have run into technical difficulties concerning levels that are sprite intensive. John Carmack developed the smooth sidescrolling effect first time on PC. Even though Nintendo turned id Software down, it's still awesome that we got Commander Keen and especially Dangerous Dave 2 after that. Not even starting to say anything about Doom or Quake. Those games changed the world, both games were just unbelievable. That's awesome. i loved those old Dos Games from Id Software. Commander Keen, Crystal Caves, Duke Nukem all gems for their time. The sound effects in the port are straight from those titles. I'd love to play the Dos port just for the heck of it. I don't know if it would have mattered. Back then computers were pretty rare and the games on them were not nearly as good. In fact i seem to recall there was a port of the original Super Mario Bros. for PC (it sucked) and an all new game developed by Hudson Soft called Super Mario Bros. Special (it also sucked), and it didn't seem to hurt the NES version at all. Believe it or not but from the footage shown that game would have been just about as good as they could have done for the time, it's very similar to ID's other 2D platformers of the time which were the cream of the crop. It would have been a niche title for the few people with computers, just like Commander Keen is remembered today. Basically it would have been fairly inconsequential. Looks kinda awful to be honest. I hated that kind of PC graphics and the controls seem really off. Yuck! To the people saying it looks awful, keep in mind this is a prototype two people whipped together in a matter of days. It was meant as a proof of concept. Given a full development cycle, I'm sure they could've made it into a really solid SMB3 port. Someone needs to remake these levels in Super Mario Maker now. Wow, I never thought I'd see SMB3 done in the original Commander Keen engine! If you press G, O, & D all at once, do you get invincibility and a permanant raccoon tail? Obviously, they would've made things closer to the actual game had they gotten the go-ahead, while this prototype was clearly created with assets they already had. Seriously, they just drew some new sprites and made new levels while ripping the graphics, sound effects, and physics straight from Commander Keen 1-3. Even the raccoon power-up works just like the flying pogo stick obtained with the aforementioned GOD code! "Mario, Luigi, we're home....AAAAHHH, what is this walking mushroom thing in your room?!" "Aw, Mom, can't we keep it?" "We'll talk about it in the morning. Get some rest, dears." "But there would be no rest for Super Mario and Super Luigi, as Bowser's airship hovered over the Mushroom Kingdom." Any reason why they made Mario so fat? @SetupDisk Because it was made in the USA, instead of Japan? It somehow looks like a cheaper version but I guess it is still a decent job, especially with the hardware they had back in the day. It looks like a cheap version, if you ask me. That flying mechanic is totally off, and I know it's a prototype but still could use some basic MIDI music track. For a prototype this looks actually pretty darn nice. I think Nintendo was right in keeping the game exclusive, but this was still a good effort. A poor-mans version of Mario bros 3, complete with NO MUSIC (fantastic)! Ok, its just a prototype. @ricklongo - It's a prototype, not a finished product.